Crystal tempered glass panel will never fade. The switch will always look like new. • Fireproof ABS plastic box, prevents excessive heat result in fire, reducing the security risk. • With LED indicator, very distinguished in the darkness. • E-start, no sparking contacts. • More humanization design: the lamp is off when the incoming of electricity again, save electricity. • No voice when you turn on/off lights, keep your home or office silence. • Single live wire control, easy to install, replace the old switch directly. • All brand new imported IC, with more excellent performance and more sensitive touch. • Applicable to all the common lamps, such as incandescent, fluorescent lamps, led lamps and so on. • Suitable for home, office, hotel, hospital and so on. 1-gang luxury crystal glass wall touch control panel switch. 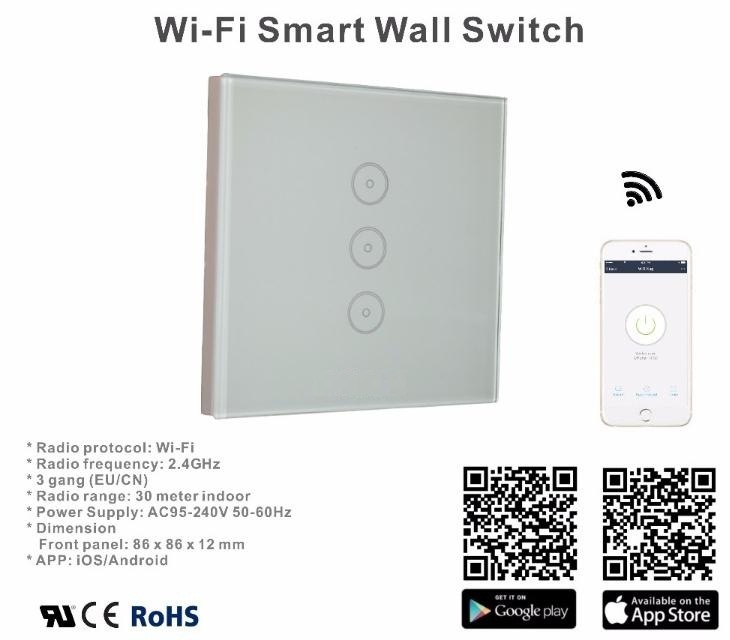 It can be added to iOS/Android App eWeLink via WiFi, allowing you to remotely turn on/off connected LED and lights from anywhere at any time. 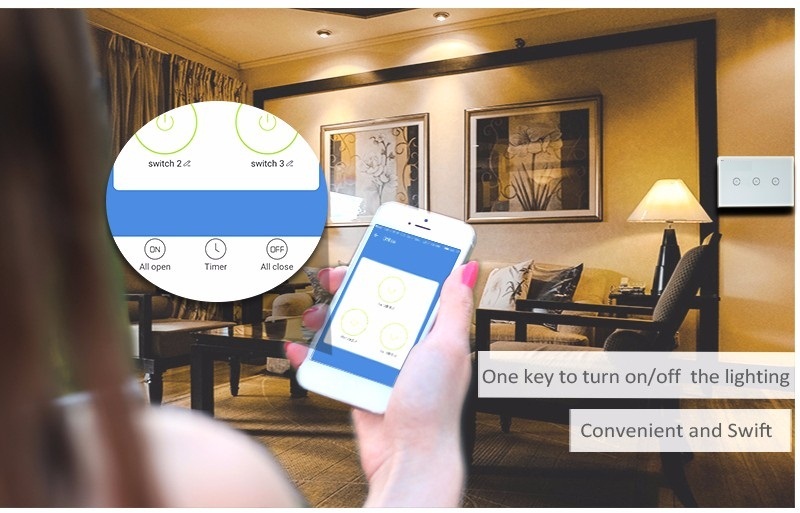 With the App eWeLink, you can create scheduled/countdown timers to auto-turn on/off home appliance at specified time and share to your family.You can check real-time light status on your smart phone.Its LED backlight lets you easily find the panel at night.